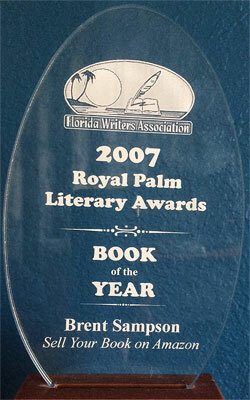 In 2007 I attended the annual Florida Writer’s Association conference to accept the “Book of the Year” award from the Royal Palms Literary Awards for my book, Sell Your Book on Amazon. 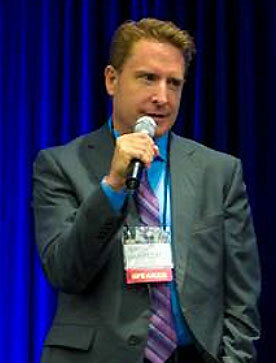 While I was there, I gave a seminar titled “How to Plot a Novel” and it proved to be so popular that I’ve since given that same presentation many times to writing groups and conferences around the country. And I am using the basis of that presentation to plot the novel I will be writing in 30 days during National Novel Writing Month. So, for those of you that I am mentoring from NaNoWriMo, or those of you in general who are writing a novel (that means you’re writing a fiction book since non-fiction books are not called novels, although, confusingly enough, you ARE allowed to write non-fiction even during National Novel Writing Month), I’ve condensed the content of that hour-long presentation into one easily digestible blog posting. I will use my novel, Idle Hands, as the example for this posting and you will get an inside, behind-the-scenes glimpse of how I’m preparing my book. Sorry for the horrible penmanship. Then, tomorrow we will discuss the mathematical logistics required to actually, physically WRITE 50,000 words within 30 days. Don’t worry, it’s not as boring (or as scary) as it sounds. But first, the plot! The basic concept of my How To Plot a Novel presentation is creating a visual outline comprised of 9 “blocks” which is my own personal continuation of a standard “three-act structure.” So if you wish to play along, get an 8.5 x 11 piece of paper and fill it with a Tic-Tac-Toe grid (or pound sign symbol, if you prefer). Then enclose the lines with an outside box and you are left with 9 blank squares (see below if you want to see the boxes, although in my example, there’s lots of notes). For the purposes of sharing this information in an orderly fashion, number the boxes from 1 – to 9 starting at the top left corner and going from left-to-right on each row. Novels are about characters and relationships, but plots are about something that happens. When using my 9-block visual plotting device, you put the single major incident that happens in the center square, box number 5. 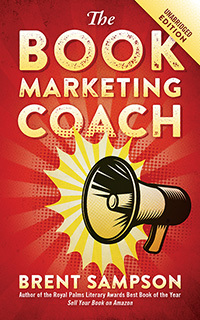 And since everything that occurs in a novel should somehow be connected to that one major event, this blocking scheme will help you place (and pace) appropriate characters, events, and twists in the appropriate parts of the story. Boxes 1 -4 (the beginning portions of the novel) all must lead up to that major event. Boxes 6-9 (the ending portions of the novel) involve the fall-0ut, climax, and resolution from that event. Box #1 in the upper left hand corner is titled “Brad & Grace” for my book, Idle Hands. This is where the protagonist (Brad) is introduced, along with auxiliary characters. Each box doesn’t necessarily HAVE to involve a separate chapter, but it could. Above Box #1 I have written “3 Days, 7000 words, 10 pages” and in the bottom of box #1 I have written “November 1, November 2, November 3.” Those involve my personal milestone goals for WRITING the story in 30 days, and I will discuss those logistic notes in tomorrow’s blog posting, so ignore them for the time being. Box #2 in the middle of the top row is titled “Brad & Fen”. This is were the antagonist (Fenderson, aka Fender or Fen) is introduced, along with other auxiliary characters. You will also notice that since Block #2 is directly touching Block #5 directly below it (in the center, where the major plot event takes place), that Fenderson takes a lead role in both Blocks 2 and Blocks 5. In fact, he also takes a lead role in Block 8, directly below 5, although I neglected to title that block and should have. It would have also been titled “Brad & Fen”. Box # 3 in the upper right is titled “Brad & Melody”. This is where the third major character and major love interest in this love triangle is introduced. And speaking of plot connections, you will notice that Melody is also a key character in Blocks #6 and 9 directly below Block 3 in a column. In fact, let’s discuss the columns and rows as a whole for a moment before moving on to the second row. Idle Hands is a character study disguised as a dark comedy/thriller within the conventions of a love triangle. The three major characters are Brad, Fenderson, and Melody, and you will notice, not coincidentally, that each major character “owns” their own column. Brad owns the left-most column (Blocks 1, 4, and 7) with squares titled “Brad & Grace”, “Brad & Fen”, and “Brad & Melody & Grace”, respectively. Fenderson “owns” the middle column (Blocks 2, 5, and 8) with squares titled “Brad & Fen”, “Fen kills Jacob” (the major event), and “Brad & Fen”, respectively. And finally, Melody “owns” the right-most column (Blocks 3, 6, and 9) with squares titled “Brad & Melody”, “Fen & Melody”, and “Brad & Melody” respectively. Block 3 is also where the first major turning point of a novel should take place. For Idle Hands, this is where Brad meets Melody. Okay, okay, Brad plays major roles in the majority of all these blocks, but that stands to reason since he is the protagonist. It could be argued that the center column (Fen’s column) is actually the most important, because that is the column where the major event takes place in Block #5. Part of the point of this 9-block device is to ensure a book is properly paced, with sufficient build-up (ie, motivation), and sufficient fall-out, and all the emotional highs and lows that result. But it would be a mistake to assume that just because the major event is in Block 5 that nothing happens until half way through the book. The opposite is true. Something notable must happen in EVERY single square (otherwise, why write about it?). I’ve happened to title my squares around characters, but you could just as easily title your squares around events that occur, all of them connected to their adjacent squares, and all leading toward (or coming from) the Major Event in Block 5. In fact, more traditional, plot-oriented novels would probably do exactly that. Now let’s discuss the rows. The top row involves the beginning of the novel, and if you’re a 3-act structure traditionalist, you would say Row 1 is Act 1 (and Row 2 is Act 2 and Row 3 is Act 3). In row 1 you introduce your characters (Brad, Fen, and Melody, in my case), and lay the ground work and emotional motivations for everything that takes place in Row 2. The plot-outline-blocks of this 9-Block device can help you determine where in the story each character should be introduced based upon that specific character’s involvement with the plot. The middle row is arguably the most important (for the same reason column 2 is the most important) because it involves the major event of the story. This is different from a turning point or “twist” (which I will discuss below). 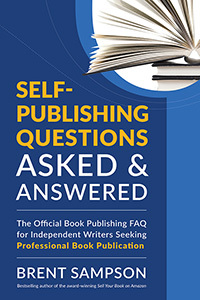 Block 5 is really the answer to the question, “What happens in your book?” You wouldn’t reveal the plot twists or turns when answering that question would you? And finally, the bottom row (Act 3) involves the character’s lowest point, the turning point, and the dénouement (the final resolution), respectively. Block #4 in the middle-left square is titled “Brad & Fen on the cruise ship”. 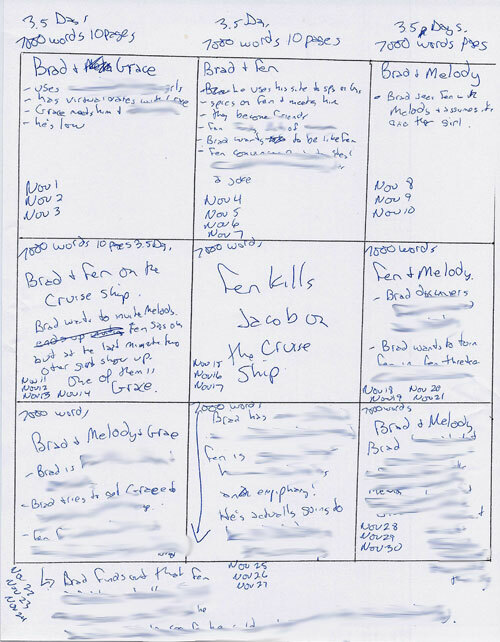 Since Block #5 tells us that “Fen kills Jacob on the cruise ship”, we can see that Block 4 involves specific build-up and motivations to that Major plot event. Block #5 is the centerpiece of your plot. For Idle Hands, that is when the antagonist, Fenderson Quinn kills Jacob Hardy. Block 5 is also the one square among all of them that is connected to the most adjacent squares, so important characters or events leading up to this plot must be present in Block #2 and Block #4, while important consequences must be present in Blocks #6 and #8. Block #6 in the middle-right is titled “Fen & Melody”. This is where another major turning point of your novel should take place, which is further complicated (and motivated/caused) by the major event that just took place in Block 5. In the case of Idle Hands, this major turning point is when Brad discovers that Melody and Fen are actually husband & wife. That turning point in Block 6 should lead to the “emotional low” of your novel, when everything is at their darkest in Block #7, which I have titled “Brad & Melody & Grace” for Idle Hands. A character driven to his (or her) lowest point is sometimes driven to drastic measures and this is where events and characters introduced in Blocks 1 and Blocks 4 make another appearance, thus fulfilling requirements of foreshadowing, and demonstrating you are well in control of your craft as a novelist. Typically a major twist leads to an epiphany and is what motivates the final climax (often some sort of emotional or physical confrontation), and this all occurs in Block 8. Given its direct proximity below Block 5, it’s probably no surprise that the epiphany or twist, as well as the climax, are all directly related to the event that takes place in Block 5. The final block #9 in the lower right hand corner is where the dénouement begins and all the plot points are resolved, not out of the blue, but by connecting dots left in adjoining Blocks 6 (the second major turning point) and 8 (the results of the climax). Characters and/or events introduced in Block 3 must also play a major role in this resolution as well. Resolutions cannot occur without the proper foundation. Now that we’ve discussed pacing and plotting a novel, tomorrow we will discuss the pacing of writing a novel… in 30 days.